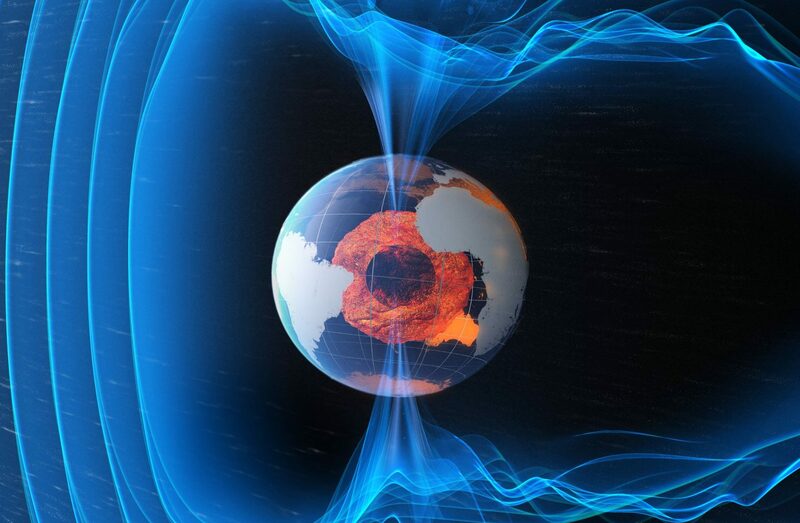 One of the most powerful evidences for a young earth is its rapidly decaying magnetic field. 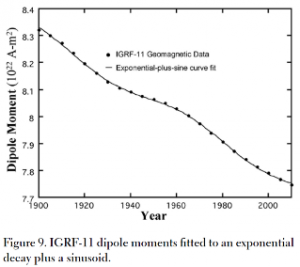 Measurements taken from 1835 to 1965 reveal that the earth lost a whopping 8% in its magnetic field strength over those 130 years.1) More recent measurements confirm this exponential rate of decrease, at a rate of about 1.5% every 30 years.2) That means if you are 60 years old, in your own lifetime, the earth’s magnetic field decreased in strength by about 3%. Let us be glad the earth is not decreasing in size at such a rate! That is an astounding rate of loss for a planet-wide feature, which the old-earth paradigm requires to be billions of years old. I rejoice in this powerful evidence that the world is young, as Scripture indicates, even though the naturalistic stranglehold we abide in ignores and suppresses these truths.